Motorcyclist Chosen a "Top 40 Under 40" Attorney in Illinois | Hupy and Abraham, S.C.
Vito Manicioto started with Hupy and Abraham in 2011, after establishing himself as a respected lawyer representing injured clients. 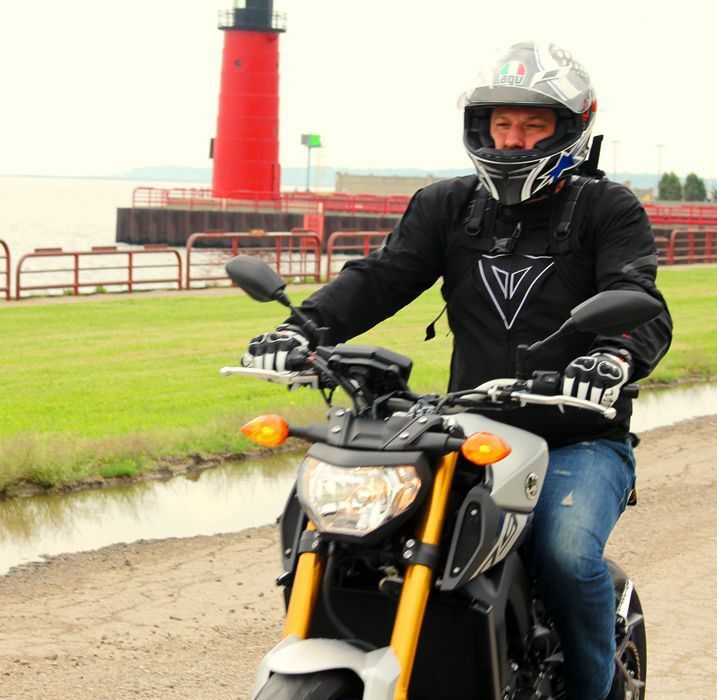 He works in the Gurnee office and commutes to work on his motorcycle in the summer months. He was recently recognized for his outstanding accomplishments by his peers in a preeminent organization. Attorney Vito Manicioto has received honors from the American Society of Legal Advocates (ASLA),being named one of the Top 40 Under 40 Trial Lawyers in Illinois. The ASLA is an invitation-only organization composed of exemplary trial lawyers who meet a strict number of qualifications and currently practice law. The organization limits its membership to the top 1.5 percent of lawyers nationwide. They need to exhibit extraordinary trial results and display leadership. Attorney Manicioto practiced in the Chicago area for four years before beginning his Hupy and Abraham, S.C. career. He was previously named as a Top 100 Trial Lawyer for the State of Illinois and is a member of the Million Dollar and Multi-Million Dollar Advocates Forum. He is licensed to practice in the states of Illinois and New Jersey. The firm's 24 experienced attorneys are committed to going above and beyond the call of duty for their clients by tirelessly representing them to the best of their ability while being involved in the local community - from raising funds for local charities to participating in safety and accident prevention initiatives. In the past three years, the firm has donated more than $500,000 to more than 250 worthwhile causes. Hupy and Abraham, S.C. has received top ratings from a number of national professional organizations for many years and was voted Best Personal Injury Lawyers in 2014, 2013, 2012 and 2011 and voted Best Personal Injury Law Firm in 2015, 2014, 2013 and 2012 in another popular poll, and named Best Law Firm in the Milwaukee Journal Sentinel's 2015 Top Choice Award. In 2015, the firm was named a Webby Award Honoree in the Best Law Website Category and was honored at the Legal Marketing Association's "Your Honor Awards" for Best Website.